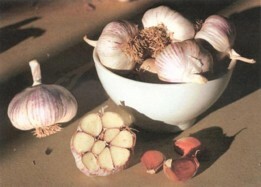 I have recently added Good Aussie Garlic to my garlic sources. Click on the Allsun Farm link for pictures and further information on garlic sales, and to look at their extensive range of tools and other equipment suitable for the backyarder and smallholder. It is always best to plant the biggest cloves from the biggest bulbs so purchase early because the biggest bulbs will be the first to go. Divide the bulbs into individual cloves and plant the bigger ones, pointy end up with the tip at ground level, into well drained fertile soil. Do not overfeed during winter, and make sure that they get enough water in the spring.